The prospect of moving house is never dull. In fact, it’s a rather exciting prospect. The reality of it, however, is a potential worst nightmare to those who pursue it artlessly. 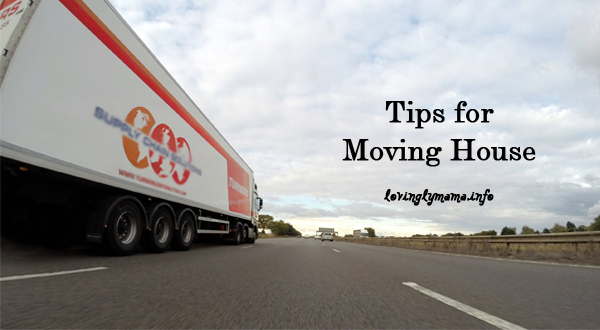 Here is a basic guide to successfully moving house. Moving house any time soon? Here are some tips for you. First thing’s first, gather everything you don’t need or want and use it as the substance for a garage sale. Before you dispose of anything that wasn’t sold, you might try giving it away to family and friends. Obviously there are some things that are unsellable; month-old left overs, for instance. Make sure you have checked your fridge and either disposed of or eaten anything that you wouldn’t care to pack. Next, gather everything you are bringing with you to your new location and box them accordingly. It’s important that you have a system to the way you pack things – labelling is an obvious one (not assorting things randomly). Establish what you won’t be able to bring with you in one move. Find somewhere to securely store such items in the meantime, a place that specialises in self-storage and will be able to assist you during the packing process, for example, Fort Knox. Storing furniture in units will prove helpful when trying to figure out room measurements in the meantime (make sure you know what fits where). Also, you won’t regret ordering a moving truck, or at least a Ute with a secure cargo. While the temptation to whimsically relocate without telling anyone can be strong, it is important to inform your friends, family and co-workers in advance of your move. Provide them with your updated address and phone number so that they know where to reach you, unless there are some people you’d rather not keep in contact with, whereas this is the perfect opportunity to cut them off! 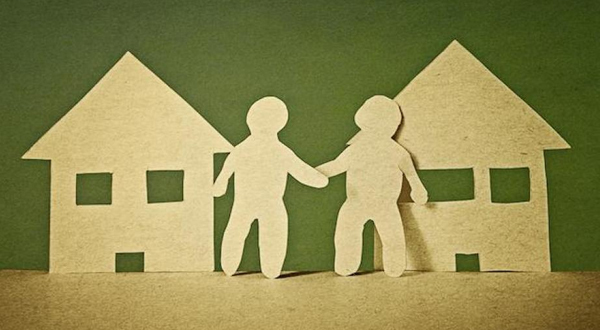 Saying goodbye to friends and neighbors can be a hard part of moving house. This also might be a good time to redirect any subscriptions to your new address – you don’t want the new owners to start believing the grand scale of their popularity, only to discover that the majority of their mail is addressed to you. It is important that the new owners are completely convinced that the house is theirs, meaning it should be spotless of anything that says “previously owned.” Clean each room as much as you can with furniture still in place, and establish what will be going and what will remain. Virtually anything that wasn’t there when you first arrived must be gone by the time the new owners arrive. Removal of wallpaper? Only if you feel that no one else will appreciate it as much as you do (if it’s awful, in other words). Lastly, you must remember to disconnect your phone, gas and electricity, and take care of any outstanding bills before you leave. If you’re looking for a fresh slate, these are common necessities to bear in mind and hopefully put into practice at some point during your move. As implied at the start, there is an art to moving house, one that, like many great artworks, must be planned thoroughly and with the best interests of both you and the new owners in mind. And make sure the new location of house is safe with good security and good neighborhood. Accesible near markets, mall and terminals. Before i move into another house, i would like to check the neighborhood or ask them first, if there’s anything happen with the House before, check outside and inside the house if the material use is safe..and , pray before we went inside the house so we could be safe, and clean the house as well..
Moving house sounds like a lot of work but once settled, I’m sure all the efforts will be worth it. Nice tips mommy! Thanks! We are going to move in our new house by the end of this year or maybe next year and right now, we’ve been thinking and planning on what to do with our new house. I’m going to make sure that my family is safe. I want to put up a mini garden or farm. Organize and decor the house in a spacious, clean and inviting way. Before i move into another house, i would to research about the place of the market location of school and church if accesible and safe the water supply is ok..
Moving to one to another house took a lot of effort and but we all have to because change is for the better . i would check the location if its safe,free from flood,and accesible to school,market,transpo. ihiwalay na lahat ng mga importanteng bagay. tas ipamigay or idonate yung mga bagay na maiiwan. tas dapat yung lilipatan na house malayo sa daan para mas safe kung may anak ka,. Always make a list of the things to be moved out. Just to make sure. Moving to a new a house can be quite tedious and stressful but do not let the unending tasks dampen your spirits as moving to a new house also means a new beginning, a new adventure and new memories to make with your family. Hope that the kids already adjusted into their new environment. Always be safe!